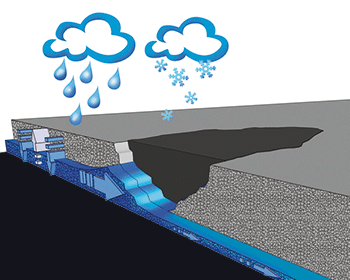 INSTAMAK Reparaturasphalt PA (porous asphalt) is a ready-to-use asphalt blend, which was developed especially for PA-surfaces. 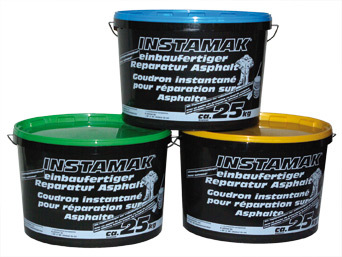 As with our tried and tested INSTAMAK Reparaturasphalte we supply Repair asphalt PA as a 1-component, ready-to-use mix, packed in practical 25kg tubs. Drying or priming of the repair area is not required. High quality aggregate blends in acc. to EN 13043 as well as a mixture of bitumen, polymers, our special adhesives and additives guarantee for a permanent repair even when raining or wet. With INSTAMAK PA you can repair small damages quickly and cost-effectively without blocking the drainage function of the surface. The porosity is – depending on grade size – between 25 – 26,5 Vol-%. INSTAMAK PA is available in grade 0/8, 0/11 and 0/16 mm. 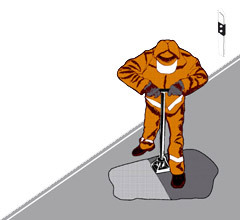 When using normal asphalts for small repairs to PA surfaces the drain and diffusion capability is hindered. This results in stagnant moisture and ice beside and under the repair areas which often causes not only flaking of the repair but also damage to the surrounding area. 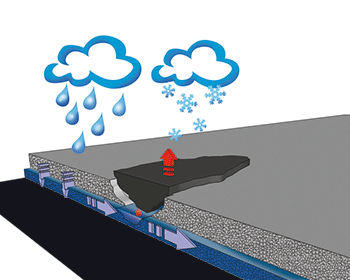 INSTAMAK PA ensures good drainage and the surface remains open for diffusion. Guaranteed acceptance of returned empty buckets free of charge acc. to § 6.3 of packaging regulation, nationwide at any RIGK-station (Germany only).